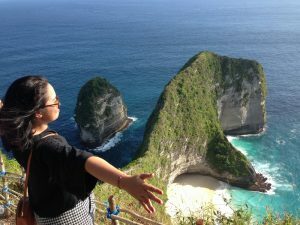 Things to know and a little information of Nusa Penida Island before visiting the Island . Nusa Penida Island is the biggest island among three island that belong to Bali sea territory . Thus 3 Islands including Nusa Lembongan and Nusa Ceningan . 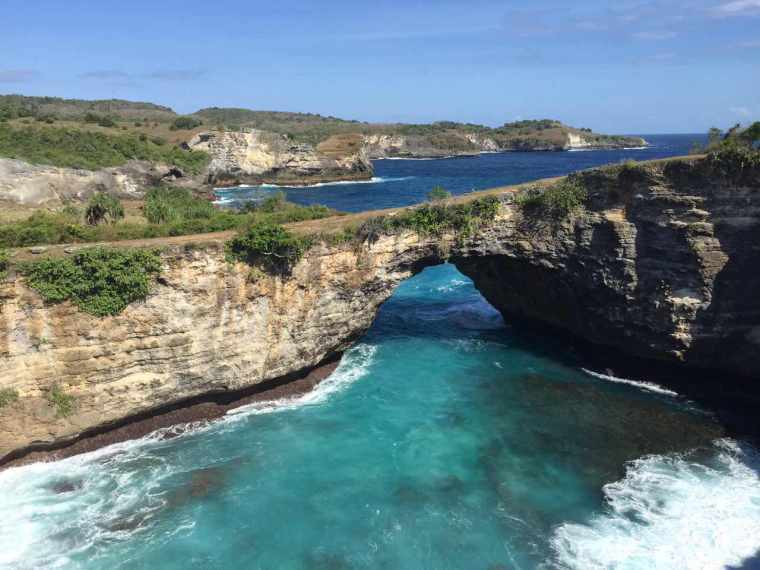 Nusa Lembongan has developed as one f Island hopping destination before the others . Located in the south eastern coast of Bali Island , can reach around 30 minutes by fast boat from Sanur port . 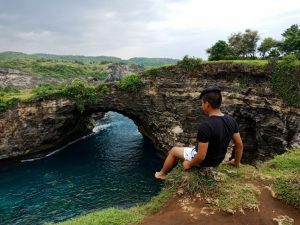 Nusa Penida Island is a new growing Island for tourism industry , therefore the infrastructure are not really develop especially the road . Due to the island condition , lack of fresh water supply and some of basic stuffs will have to bring from Bali Island . Therefore the prices there will be a little higher if compare than Bali mainland . Don’t expect for stars hotel or very exclusive restaurant over there , its still local ambiance and atmosphere . Kelingking mean the little finger . This is probably the shape of the rock by the sea coast looking like little finger , but for me personally that rock is look like T’rex dinosaur . 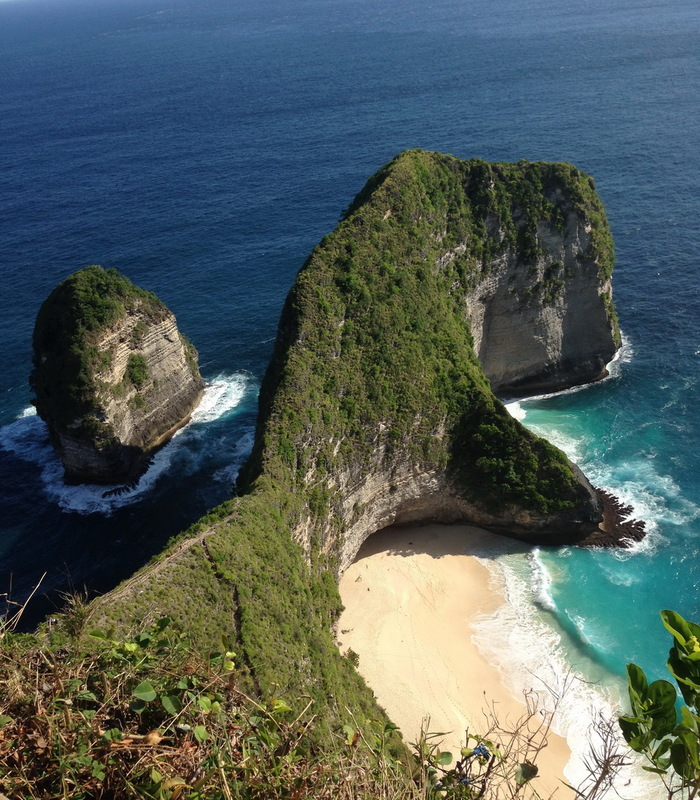 Kelingking beach in Nusa Penida island located in the southern part of Nusa Penida . In the village of Bunga Mekar , approximately 1,5 hours drive from port through very bumpy road . With a white sand beach and Chrystal blue clear water make this place as one of the tourism icon in Nusa Penida . But to get down to the beach we will have to defeat about 400 steep stairs down from the cliff . We will not recommend you to go down during our Nusa Penida day trip package , because you will spend half day to do it . 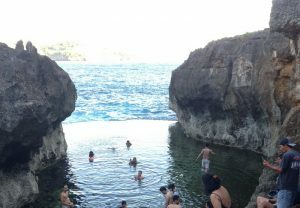 Angel Billbong is large infinity pool by the sea side that created by the nature thousand years ago . 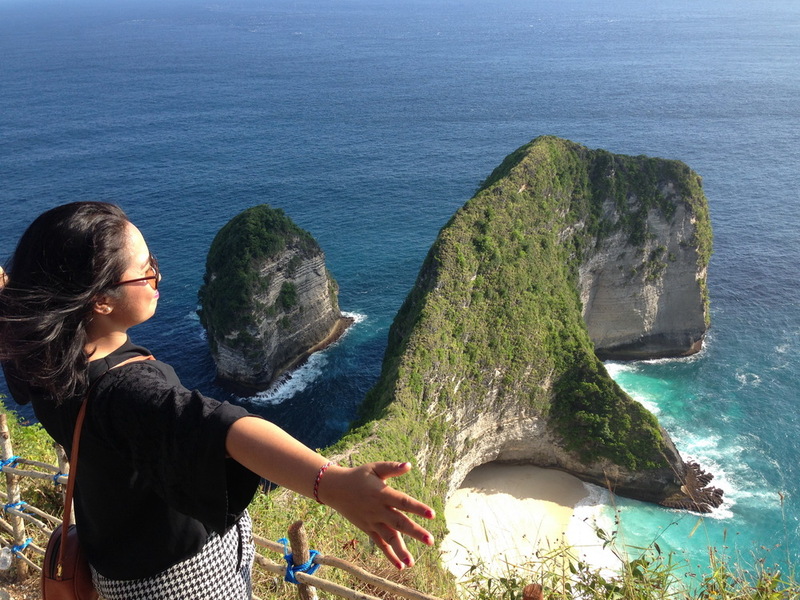 The rock are crafted by high tide for thousand years back , this nature artwork created an amazing landscape views . You could swim in but be careful when the tide is high . So prepare for a great time , wear your swim suites for great shot in the nature infinity pool . But be careful when taking the step down to the beach , its slightly difficult and sharp rocky cliff . Actually Angel Billabong and broken beach is located in the same area . It’s next from Angel billabong , approximately 10 minutes walk from the nature infinity pool Angel Billabong . A large rock with whole inside and just look like an ancient bridge . The sea water will come through the whole and fill it up the big pool looking area behind the rock . 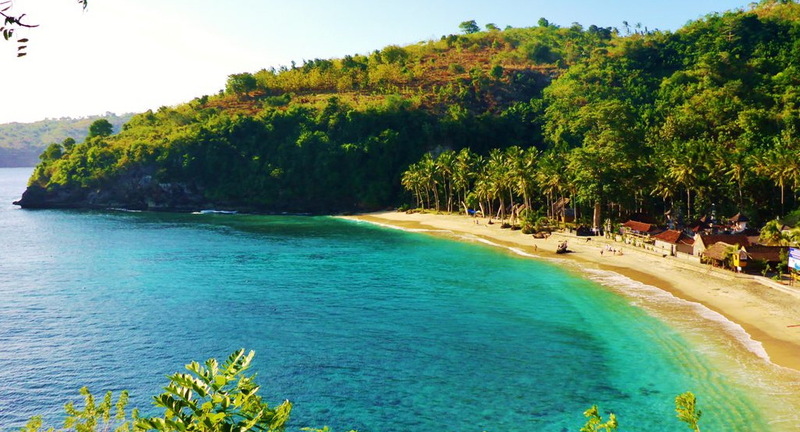 Some picture spot are provided by the local villagers for you to have your memorable and best shot of the broken beach . 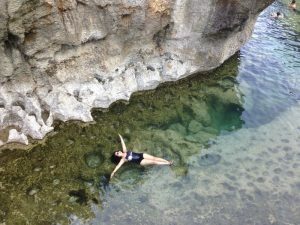 Another interesting place to visit in Nusa Penida Island is Crystal bay . Beach with calm and crystal clear water make this beach become one of the favorite place for swim , snorkeling as well as diving . Crystal bay in an unique beach , one of the beach that you may see an ancient Mola Mola fish . 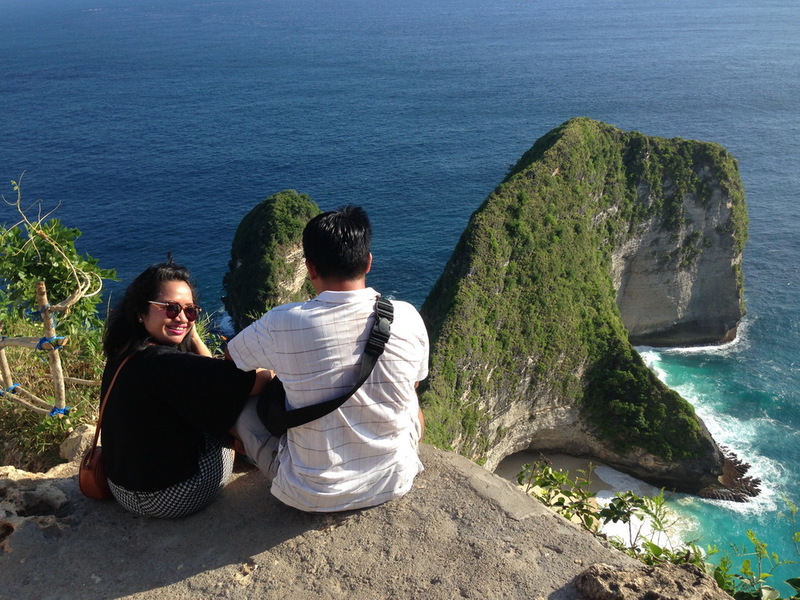 During our NusaPenida Island Package , this place going to be our last stop before heading back to Bali . Therefore you can spend you remaining time before have to go to the port for boat check in . Oh wow what a beautiful place this is! The water is the most beautiful shade of blue, I just want to dive in!